Even if you weren’t born with Julia Child’s kitchen instincts, cooking at home can be easy as cake — well, you know what I mean. If you’re eating mostly whole foods or if it’s one of your goals, then preparing meals at home is one of the best ways to make this healthy habit stick. Research shows that cooking at home is not only healthier but cheaper, too. Cooking is also good for the mind. The act of preparing your meals is just as nourishing for your body and mind as the food you’re actually enjoying. A 2016 study from the Journal of Positive Psychology suggests that people who take part in creative projects, such as cooking, feel happier and less stressed with their everyday lives. So if you had a long day at work, taking out the chopping block might do you some good. That’s why today I’m sharing six of my all-time favorite cooking techniques. These cooking methods help you save time in the kitchen, but also help retain nutrients in foods, while enhancing their flavors, so you get the most out of your meal. Steaming is one of the healthiest ways to cook food because you don’t use any fat or oils, and it retains the nutrients in vegetables better than stir-frying or sautéing can. This 2000 study in the Journal of Agriculture and Food Chemistry shows that steaming carrots can help enhance their beta-carotene content. Research also suggests that steaming retains the most glucosinolates, the compounds in leafy greens like kale, Brussels sprouts, and broccoli, that can help prevent disease and cancer. How to do it: Boil a pot of water and place a steam basket over the pot with the food you’d like to cook and cover it with the top. Steam for the recommended number of minutes, or until the vegetables become tender. Cook up my Hygge Macrobiotic Bowl, which is packed with a ton of steamed veggies and gut-boosting fermented foods. Need a weeknight meal, STAT? Stir-frying cleans out your fridge and makes use of every lean protein or fiber-rich veggie you have on hand. Plus, it gives you the opportunity to maximize the nutrition in your meals, adding a variety of vegetables with different hues, tastes, and textures. Stir-frying is the equivalent of cooking speed work. This technique cooks up food fast and makes vegetables more palatable. How to do it: Just heat a little bit of extra-virgin olive oil in a pan; it doesn’t necessarily need to be a wok. And then, add the food you’d like stir-fry to the pan and let the food sear until it tenderizes, stirring every 30-6o seconds. Season them with your choice of spices and herbs or a homemade sauce. Try my 10-Minute Peanut Stir-Fry for a super quick meal on busy weeks. Crunchy Brussels sprouts, crispy sweet potato wedges. Roasting is one my all-time favorite ways to enjoy vegetables because it tenderizes their texture and enhances their flavor. For example, roasting butternut squash caramelizes it and accentuates its sweetness, so it’s less bitter. Even the pickiest eaters can appreciate a bowl of butternut squash mac and cheese! Just be mindful of how much oil you use when roasting vegetables, and stick to a temperature that’s below the oil’s smoke point. While the high heat used during roasting can strip veggies of some of their nutrients, there’s no reason you shouldn’t shy away from this cooking technique. At the end of the day, you’re still eating veggies and reaping their health-boosting benefits. How to do it: In a mixing bowl, combine the veggies you’d like to roast with a tablespoon of extra-virgin olive oil and your choice of seasonings. Stir until the ingredients are well-combined and the vegetables are coated with the oil and spices. Line a baking sheet with foil and lightly grease it. Then, spread the vegetable mixture evenly on the sheet pan and pop them in the oven for about 45 minutes, or until they’re lightly browned and crisp on the edges, at 350°F. Check out this Balsamic Brussels Sprouts and Red Grapes recipe! From eggs to fruits to chicken to fish, you can poach just about anything. This moist-heat cooking technique involves submerging food in water at a low temperature, usually between 140°F and 180°F. You’ll know the water is ready when start to see white bubbles forming around the edges. Unlike cooking methods that rely on high heat, like frying, poaching produces fewer advanced glycation end products (AGEs), a group of compounds that are linked to heart disease, type 2 diabetes, and Alzheimer’s disease. However, marinating meats in a vinegar-based sauce or acidic mixture before cooking it can help reduce the number of AGEs, according to the Academy of Nutrition and Dietetics. How to do it: To perfectly poach an egg, fill a saucepan 2/3 full with water, a vegetable broth or whatever liquid you’re using. Bring the water to a boil, and then take it down to a low simmer. You’ll see small bubbles come up to the surface and along the sides. Crack an egg into a ramekin or small cup. Carefully drop the egg into the water and gently stir the water with a spatula to ensure the egg doesn’t stick to the pan. You can also add a dash of vinegar to the water so the egg whites stay in a more compact shape. Allow the egg to poach for three to four minutes before removing it with a slotted spoon. Take a crack at my Poached Egg Plate With Castelvetrano Olive Butter recipe. If you enjoy a little crunch in your veggies, blanching makes them crisp and tender at the same time. It’s also one of the best ways to preserve food, so if you want your seasonal produce lasts, blanching is the way to go. With this method, you submerge the veggies in a boiling pot of water for about seven minutes. Then, you stop the cooking process by putting them in an ice bath. This technique allows you to maintain the vegetables’ bright colors and help retain their nutrients. Research suggests that the antioxidant activity in some veggies, such as beetroot, peppers, green beans and spinach, can increase during the boiling process because the oxidative enzymes (what causes inflammation) are deactivated. How to do it: Fill a large pot with water, add a tablespoon of sea salt and bring it to a boil. Add the vegetables to the pot and allow them to cook for a few minutes or until their colors brighten. Then, immediately remove the veggies from the pot and run them under ice cold water. It doesn’t need to be warm out for you to enjoy the benefits of grilling; you can purchase a cast-iron grill pan so you can do it over a stovetop. The broiler in your oven is also a great way to grill at home: Just prepare your food on a broiler pan and set it on your oven rack between four and eight inches from the heat. Grilling helps remove excess fat from meat and gives vegetables and fruits a slightly smoky flavor. How to do it: Trim the fat off of meat and wash veggies. Make sure they’re thoroughly dried before lightly brushing them with some extra-virgin olive oil and adding some seasoning. Place the grill pan on the stovetop at high heat until the pan is warmed up, then lower the heat to medium-low for three to four minutes. Then, flip the food on the pan to avoid drying them out, and cook for another three to four minutes. Prepare these Simple Grilled Vegetable Skewers for an easy grilled side. What are some of your favorite healthy cooking techniques? Have you used blanching to help preserve some of your leftover herbs, fruits, and veggies? What’s your go-to stir-fry recipe? I’d like to hear about how you like to prepare your meals! 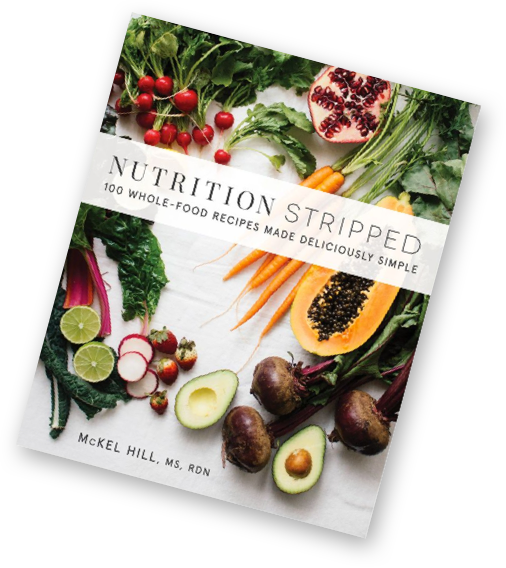 Show me how you make these cooking techniques #nutritionstripped on Instagram and join our amazing community of cooks and chefs at the NS Society. Which Cooking Oils Should You Use?